* Bond No 9 fragrances are inspired by streets or areas of New York. The I Love NY series is meant to symbolize the spirit of all of New York. * I Love NY For All is the scent of the perfect cup of coffee with notes of coffee, dry cocoa, hazelnut, chestnut, and vanilla. * The scent is sweet, but not overly sweet. * This is a linear fragrance, what you get on first whiff is there for the full ride. * Although coffee is an energizing beverage, after the initial jolt, I find the scent to be comforting and very warm – if not relaxing. * This would be a great daytime office scent as it lasts through the work day without projecting too much. After work, it would be a great base for another fragrance to be layered on top. Summary: I normally ignore gender in fragrance because it’s simply for marketing. With that said, I Love New York For All can be worn by anyone. Imagine the fragrance equivalent of your favorite pair of jeans: you can put them on anytime because they are comfortable, fit perfectly, and go with everything. 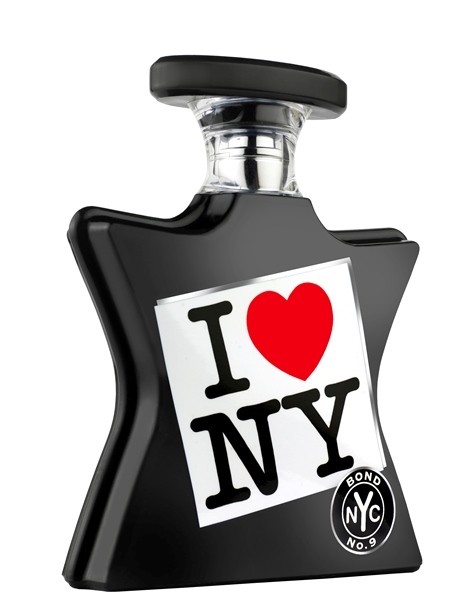 Bond I Love New York For All is available at Nordstrom, Saks 5th Avenue, independent boutiques and from Bond No 9 boutiques. This would grossed me out so much when I first tried it. It reminded me of pancakes, maple syrup (a smell I can’t stand) and coffee with cream…like Waffle House in a bottle. I’m glad that you urged me to get a sample to try. It has grown on me. I think it’s very well done and quite frankly, a risk for Bond. No.9.